Windows in Sugar City are important. Not only do they give your home natural lighting, but having them not installed properly can leave your home vulnerable to the outside elements from cracks in the windows, which can cause water damage and higher heating costs. However, new windows or repairs are easy when you can call us first. Since 1996, we have faithfully served Southeast Idaho. As a locally owned and operated business, we maintain a very close connection with its customers. 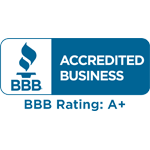 Not only do we promise to be reliable and affordable, but we also strive to provide the highest quality service possible. When you want to make sure your windows will not damage your home, call us and we will send over one of our trained professionals to install or repair your windows, saving you money by lowering your future energy expenses and making your house more beautiful. After all, nothing should be coming through your windows except light and your gorgeous view. Repairs for windows start at $60. Window installation for a typical house is usually around $4,000. However, pricing for either varies per job and you will get a better idea of the cost for your house when they give you the estimate. We will also match bids for the same class of window and help you get affordable financing to make it easier for you to afford your repairs. Unfortunately, there are a lot of places that do not have the same care and diligence that we have. Many people won't measure windows correctly and leave as much as a three inch gap between the glass and the window frame. This causes extensive damage to your home from wind, rain, hail, and snow. Watch out for places that offer to install windows for only a few hundred dollars. They shrink the overall size of your window and don't give you any energy savings because of poor insulation and framing. But we will give your windows the time and attention they need to be aesthetically pleasing as well as weatherproof. When you call us, we will come out and measure your windows before giving you a detailed estimate with options. After the windows arrive, we will have them installed in your home in less than a week. We offer retrofit and window installation as well as windows and trim. We offer several options for windows, including ply gem, wood clad windows, the very popular white vinyl windows, and the energy efficient triple pane windows. Please call us and get an estimate on your window repairs or installation today. You will not regret it.